Click HERE for NOTAM filed 07/11/18 – Click HERE for latest NOTAM update. 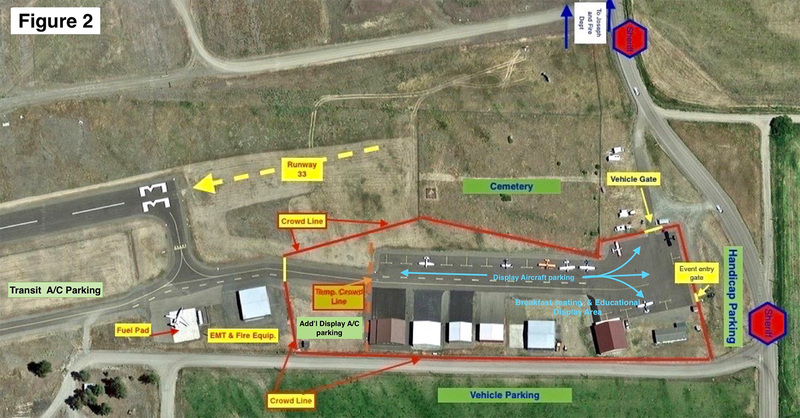 Click HERE to see the layout of the ramp during the event. During the Event (Friday afternoon through Saturday) UNICOM frequency 122.8 will be monitored. Side by side ATVs and golf carts will be on site during the daytime to help with transportation to and from the aircraft parking. 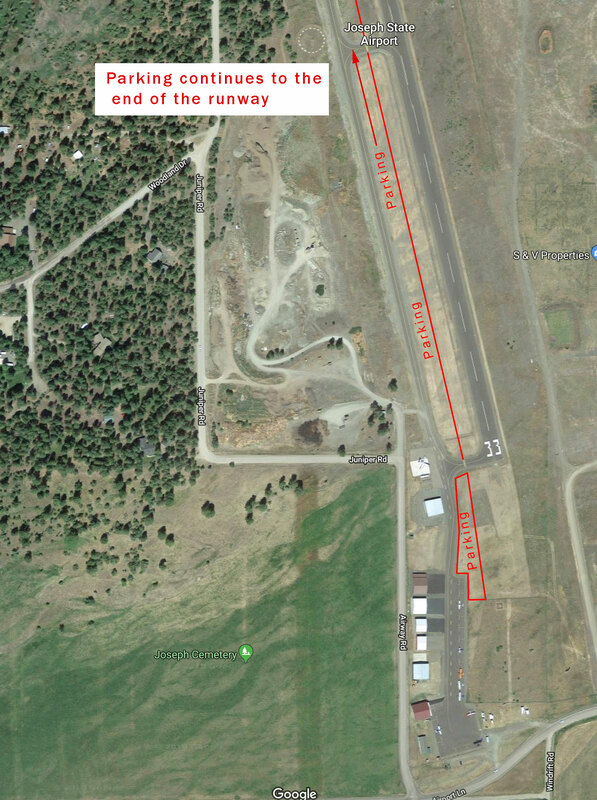 The main portion of the ramp will be closed during the event for the static aircraft display. Arriving air traffic may experience a small delay during the flight demonstrations. Call UNICOM for information. See the Fly-In/Airshow page for the complete schedule. The Federal Environmental Protection Agency (EPA) has established stringent regulations for the routine handling, disposal and/or accidental release (spills) of aircraft fuel and other petroleum based products – complete with significant fines/penalties for non-compliance. 1. Secure (tie down) aircraft in anticipation of adverse weather including strong gusting winds. 2. Make sure aircraft is on level ground. If not, adjust fuel levels or plug fuel tank vents to prevent leaks. 3. Be careful when fueling aircraft. Over-fueling often causes fuel to run onto the ground and accumulations equate to contamination. 4. When checking aircraft fuel levels, do not dump sumped fuel on the ground. 5. Place pans under any leaking fuel or oil from aircraft.